Call SLB before you dig. There is a better way! Request a free quote. Fill out the quick form to your right and we’ll be in touch very shortly. We are a full-service trenchless pipe repair company. If you are having problems with your sewer line, we can employ all methods for full replacement or just to diagnose and locate the problem with a camera inspection, and pipe cleaning as well. Our locally owned and operated company is focused on the details to provide you the best and most economical repair for your pipelines. Most experience in the Trenchless Pipe Repair Industry, All methods of trenchless pipe repair, Save Landscaping, hardscapes and yard repairs using Cured-In-Place-Pipe, Provides a structural repair 100% of your sewer line from inside the house to the mainline connection. 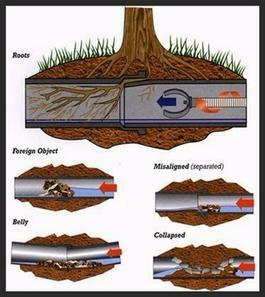 Pipelines that can be relined using CIPP, Sewer or storm lines from 2 inches to 18” in diameter, Pipe lines with 22, 45, 90 degree bends, Transition pipelines (lines that change in diameter), Vertical roof drains, Electrical conduit lines, Boiler return lines, Pool drain lines, Ventilation lines, Water fountain return lines. Trenchless sewer line repair for residential and commercial property is a new technology that offers a simple way to replace old pipe without all of the hassle of the Traditional Method and cost of digging up your yard. SLB Pipe Solutions offers a single access pipe relining system to rehabilitate existing main line and building service laterals without the need of extensive digging. Pipe bursting is a more extensive method of repairing damaged pipelines. 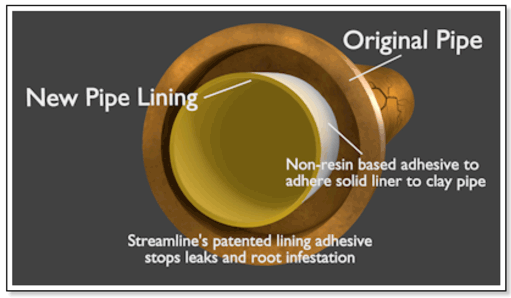 Pipe burstng is a process where a new pipe is pulled through the existing pipeline. 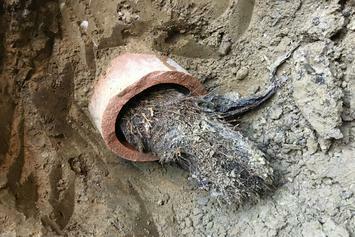 A bursting head is forced through the existing pipe and explodes the existing pipe outwards. SLB employees are all trained sewer inspectors. Our state of the art camera equipment allows us to inspect sewer lines and identify problems in high definition. Camera inspections can be recorded and emailed with a report of problem areas as well as a recommended repair. SLB offers high-pressure water jetting and traditional auger cleaning to knock out any clogs and blockages in pipelines. All drain cleaning jobs are verified with a camera inspection to make sure the job was cleaned and not just cleared. Your property’s pipes are the most important aspect of your property which is why we only offer innovative, trenchless technologies that do not require harmful excavations that leave you stressed and your property damaged. The most reliable drain cleaning service we perform is hydro jetting. Our team at SLB Pipe Solutions are experts in top-of-the-line drain cleaning services that are always affordable, environmentally friendly, and long-lasting. Your pipes are one of the most important aspects of your residential or commercial property which means it is essential that they be taken care of all year long.